A completely upgraded and re-designed version of the former “Steps To Health” intensive. By popular request we are now including even more cooking classes! More menu planning! Learn how to cut down your cooking time without cheating on your health. Using leftovers to make vital, energizing and tasty meals. Creating your own personal plan to meet your unique schedule and home circumstances. Learn to cook for personal health needs. NEW PRICES FOR 2014 ! A partner or friends can register with you at a discount! A new “Steps To Health Weekend Intensive” is presented every other month. How Am I Going To Do Healthy Cooking When I Return Home? We’ll help you look at your own daily schedule and living circumstances to create a doable plan for your own healthy cooking and eating. Helping you have success when you return home is the main focus of this weekend. Learn all the basics of selecting and cooking healthy foods, including whole grains, organic vegetables, miso soup, sea vegetables, condiments, pickles, and beverages. Hands-on cooking classes are a must if you really want to learn healthy plant-based cooking using macrobiotic principles. Sitting and watching a teacher demonstrate cooking won’t really teach you how to do healthy cooking, so we have created cooking classes that get you in the kitchen side-by-side with the teacher. Healthy desserts? Yes! And they are delicious! We’ll show you how to make desserts that are suitable for your current health. This frequently-asked question will be answered daily when you are served a simple but satisfying breakfast. You will receive printed recipes and menus for each cooking class. Learn creative and practical methods for making balanced and nutritious menus. Enjoy three delicious plant-based vegan meals created with macrobiotic principles of balance Thursday-Saturday, plus a few surprises now and then. Students eat most meals with the instructors, providing additional opportunity for discussion and questions. A complimentary breakfast will be served for those whose travel plans allow. We are respectful and understanding of each student’s personal needs. Please contact us prior to attending the course to discuss any allergies and/or sensitivities you may have. In consideration of others, students are asked not to wear perfumes or other fragrances during the course. 12:45 pm Student break time for sightseeing, shopping, laundry, phone calls, relaxing, etc. Teacher preparation time for the cooking class. The weekend begins at 3:00pm Thursday afternoon with a hands-on cooking class + dinner, and ends on Saturday (around 7pm) with “Certificates & Farewell” after dinner. For those whose travel plans allow, please join us at 8am Sunday for a complimentary breakfast. For an additional fee, a Private Consultation with David Briscoe can be scheduled for Sunday, the day after the course ends. For more information about the different consultation options, please see the Personal Health Consultations section of this web site. If you are sure you want a consultation for the day after the course, please call and schedule it in advance. Time available for private consultations is limited, so it may not be possible to schedule a consultation if you request it after your arrival. The course requires active student participation for the best learning experience. You must be able to participate in all of the classes. For a child under twelve it will be necessary to bring your own childcare assistant who can attend to the child, away from the study house, while you are in class. Children under twelve are welcome to join parents at meals for an additional cost. Children twelve and over are welcome to attend classes with you at the FRIEND price. Please plan your after-course travel schedule so that you do not have to leave before the end-of- course certificate and farewell celebration at Saturday’s dinner. We all want to celebrate with you! 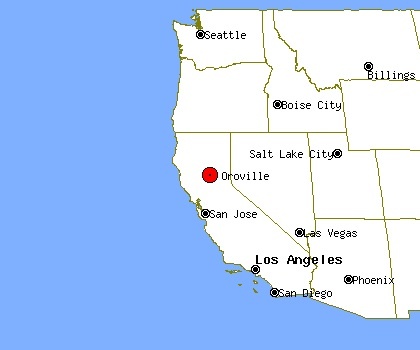 For maps showing Oroville’s location, click here. By Air: Fly into the Sacramento International Airport, then take The North Valley Shuttle or the Blue Van Super Shuttle to Oroville. We suggest calling the North Valley Shuttle or Blue Van Super Shuttle BEFORE making your airline reservations in order to coordinate your flights with their pick up and return times. North Valley Shuttle: (530) 891-1219.
www.northvalleyshuttle.com. This service will drop you off and pick you up at their announced location in Oroville. The motels listed below are within a few minutes walk of the drop-off location. Contact them for the current price. Blue Van Super Shuttle: 1-800-258-3826.
www.supershuttle.com. This airport service will drop you off and pick you up at your motel’s front door. The motels listed below have been enjoyed by our students in the past. Super 8 and Motel 6 are both within a two block walk of our study house. Holiday Inn is within a three minute drive. It is the student’s responsibility to make all room arrangements with the motel prior to arriving for the course. Please call the above for current prices. There are many camping areas in the Oroville vacinity. For more information visit the following site: Oroville Camping. Save $300 when you register 30 days in advance. Cost (cooking classes, daily meals, notebook, handouts and printed recipes): $295 per person if registered 30 days in advance; $595 after that date. FRIEND / PARTNER COST: If a partner or friends register with you, they can come for $250. Accommodations are a separate fee. Students must arrange for accommodations at the nearby motel of their choosing. A list of nearby motels can be found above. Please note: Cost does not include a private consultation with David or Cynthia Briscoe. Please see the “Private Consultation” section above if you would like to schedule a consultation during the course. Space is limited. Register Early. If registration for a class is full, you may request a place on the waiting list. We suggest registering well in advance in order to get the date you want. A minimum number of students must be registered 30 days in advance in order for the course to be held. Please keep this in mind when making advance travel arrangements. We suggest having travel insurance in the event the course is cancelled. We never plan on canceling a course, but occasionally it can happen. Deposit: a $100 non-refundable deposit per person will reserve your place in the course at the early registration price when received 30 days in advance. Balance due on arrival. Refund: We will make a full refund of any amount paid minus the non-refundable deposit when notice of cancellation is received no later than 7 days prior to the first day of the course. After that time we cannot make a refund no matter what the reason for cancellation may be. However, credit will be given for attendance at a future Cooking Essentials For Healthy Living weekend that takes place within 6 months. If the minimum number of registrations is not reached and the course is cancelled, you will receive a full refund, including any deposit that has been made. Join us as we take our popular course to various cities, with the exact same cost, schedule, topics and information as described above for our course at The Macrobiotics America Study House in Oroville, CA. For information about the Steps To Health Weekend at the above cities, please contact the sponsors listed or contact us at (530) 521-0236 or info@macroamerica.com. If you’d like to sponsor a Steps To Health Weekend in your local community, please contact us. What is the Macrobiotics America Study House? In the early days of macrobiotics in the USA, students studied in small groups at the home or “study house” of experienced teachers. It was a strong, personal and friendly atmosphere for learning. Many respected teachers and some of longest-practicing macrobiotic people in America today, received their macrobiotic foundation from the study-house style of learning. When macrobiotic schools with large classes opened in the 1970’s, study houses unfortunately disappeared. 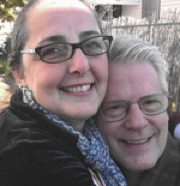 Recently, David & Cynthia Briscoe opened their home in the study house tradition, once more affording students this unique opportunity. Students from around the world can now come here to benefit from this legendary way of learning and developing a macrobiotic practice. The personal study-house way of learning is not presented in an institutional, medical, or other impersonal setting. It is in our personal, relaxed and welcoming home in a friendly, middle class neighborhood of Northern California. You will be in a small group of no more than 6 students with a full daily schedule, learning in down-to-earth, family-style surroundings with two personally attentive and experienced teachers who will be happy to share macrobiotics with you. This opportunity for learning, in such a small group and in such a personal way, with highly respected macrobiotic teachers who have taught all over the world for more than 30 years, is a rare and unique offering. The Macrobiotics America Study House also hosts community gatherings, including monthly potlucks, “Ira Briscoe Memorial” Sponsored Classes for Young People, and it serves as a macrobiotic resource for the surrounding community. NEW! Have Your Own PRIVATE and custom-designed course at The Macrobiotics America Study House tailored to your individual needs. We’ll plan with you prior to your arrival to design a complete Thurs-Sun course that addresses your special needs such as cooking for children, teenagers, allergies, medicinal cooking, cooking on busy schedule, restaurant-style cooking, etc. We can design a private course to cover any personal need and interest. As our PRIVATE student, you will get all of our attention during the daily schedule. You may also send a person to us to be instructed the style of macrobiotic cooking that a counselor has recommended for you. A PRIVATE course can be arranged anytime during the year. Please call for more information. The private Thurs-Sun course tuition and meals: $595; partner or friend comes for half price. Room accommodations are a separate cost and arranged by you with a local motel. See the list of motels above.